BUYER'S CHOICE REAL ESTATE SERVICES,Inc. PUT ME ON THE LIST FOR AUCTIONS-Click Here! A full service real estate agency offering resort sales and vacation rentals. www.List2Auction.com Sign up to search for properties! 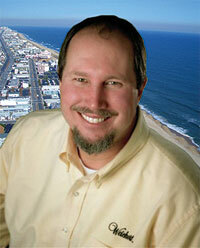 Serving Maryland & the Delaware Beaches & Inland Areas of Maryland & Delaware Coastal Resort Communitie. Licensed Broker in Maryland & Delaware. Full Service Real Estate Company offering Sales, Rentals & Property Management. Members-Coastal Association of REALTORS® in Maryland. Members-Sussex County Delaware Association of REALTORS®. Weekly, seasonal & year round Rentals. Licensed since 1984 in the resort area! Auctions, Foreclosures & "For sale by owner"
Monday - Friday: 10:00 to 5:00 EST. Weekends-By Appointment. Sign up now for the auction list-Click Here! We offer real estate auctions: PUT ME ON THE LIST FOR AUCTIONS-Click Here!